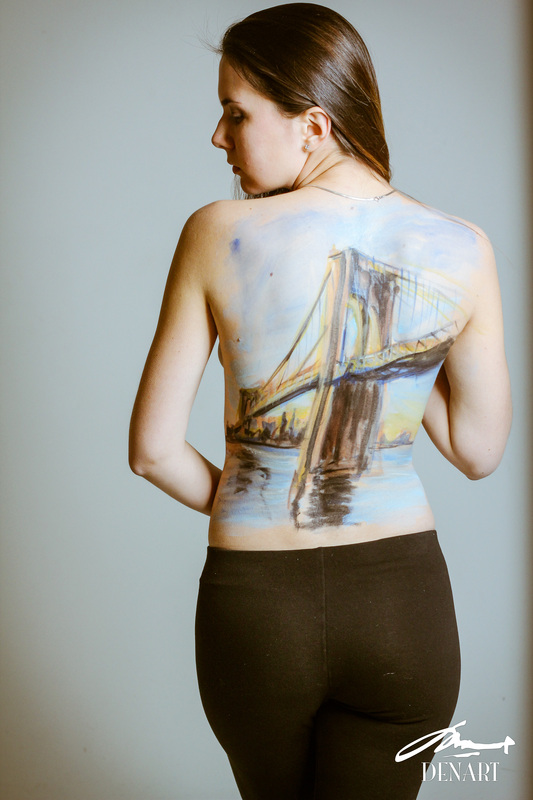 This was a fun body painting session for 2 best friends: one live in NY and the other in Moscow. They decided to use the iconic landmarks from each city as the design to illustrate the identification. The woman who lives in NY chose the Brooklyn bridge and the one from Moscow chose St. Basil Cathedral. We did individual photo shoots followed by combined shoot.